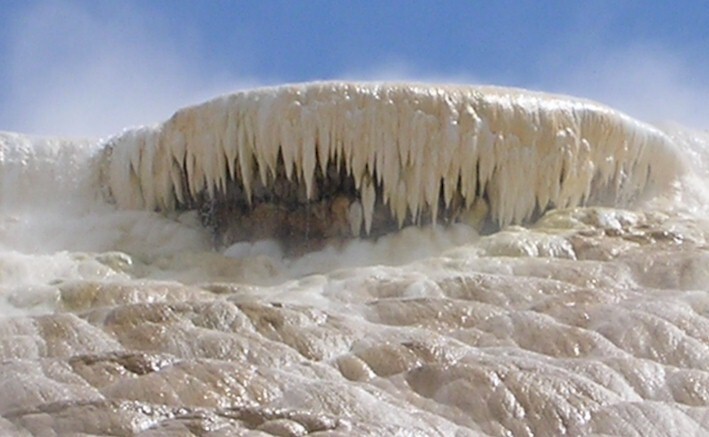 Looking for a Yellowstone winter tour? 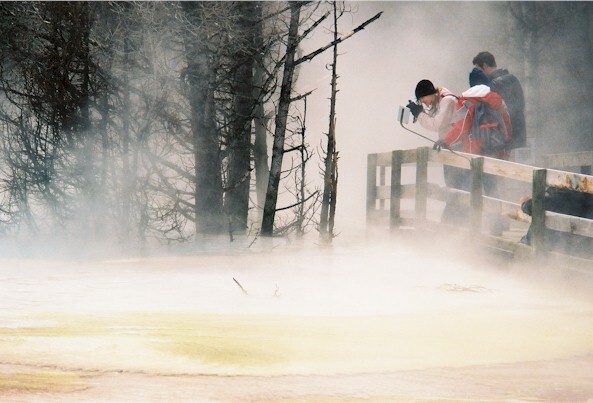 Snowmobile and snowcoach tour through Yellowstone's snowy winter wonderland! This tour can be ordered online here. Please check out what previous guests have had to say about us. 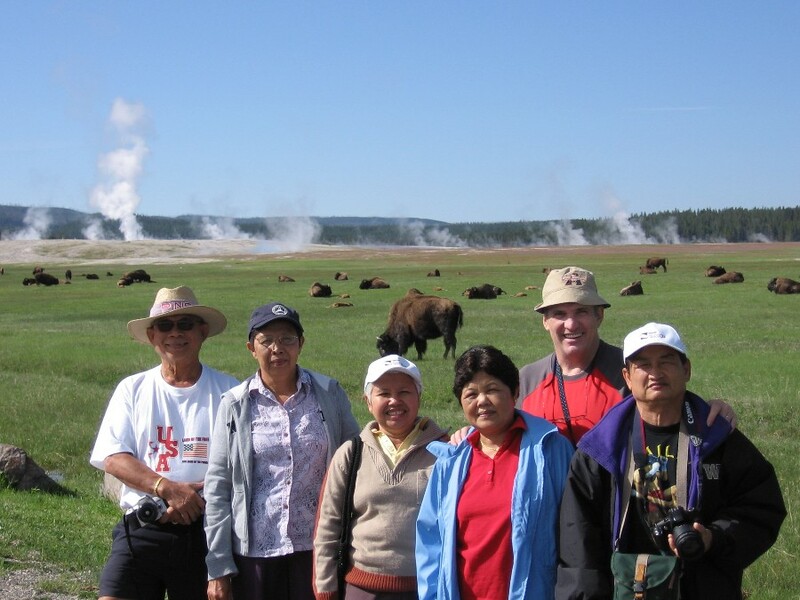 Take a look at some of our previous tours. 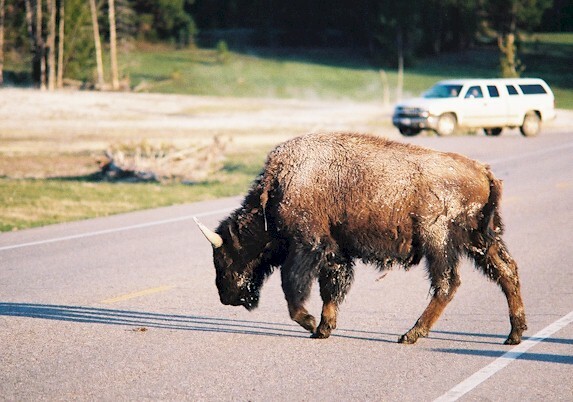 This is Bundu Bashers' longest running, most popular Yellowstone tour. New for this year is both river rafting and horseback riding! 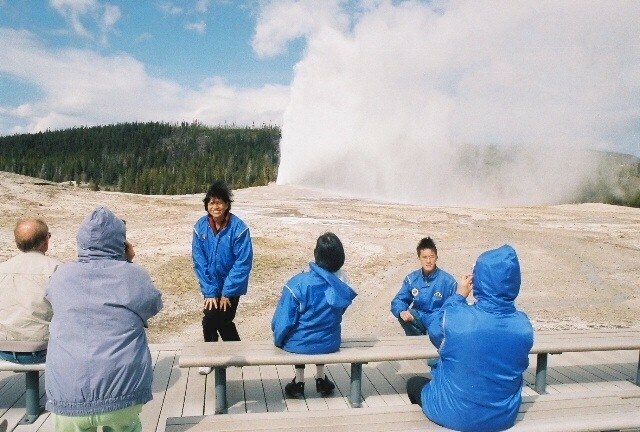 Prepare yourself for a tour that is crammed full of action and fun. Like all of our tours, this one is smaller and more intimate, designed with a personal touch. Most will have only four to 10 people on them. Bundu Bashers offers this tour every Monday and Friday from the beginning of May until the start of October. 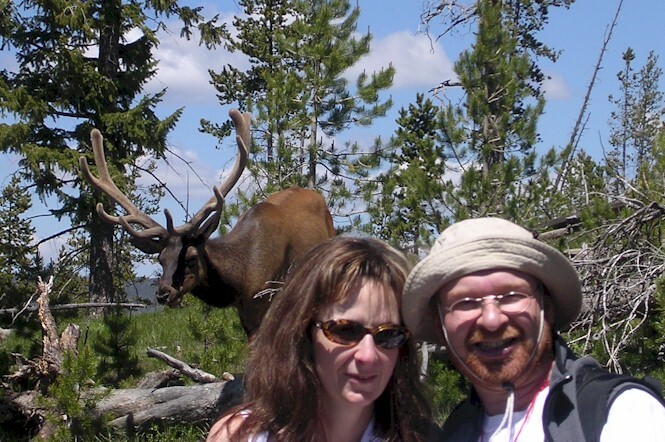 If this tour is not to your liking, please consider one of our other Yellowstone tours. 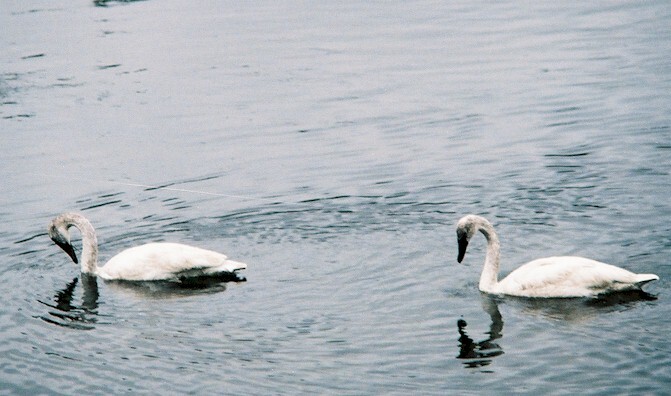 Details can be seen here. You will need to fly into Salt Lake City by at least the evening before. We pick up at all downtown Salt Lake hotels, and can get you a good rate at some of them. Details of the hotels with which we are working can be found here. 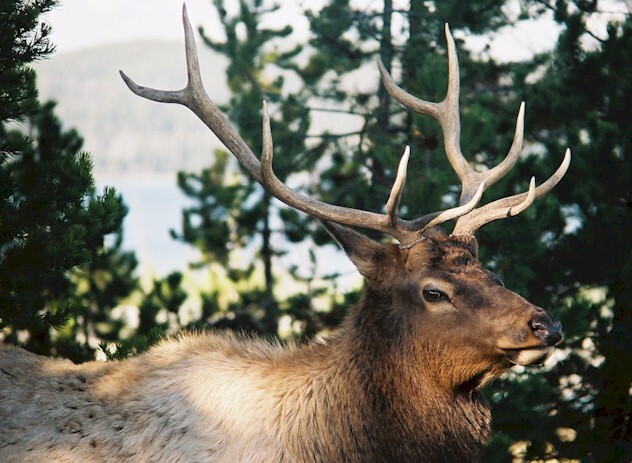 You will be picked up at your downtown Salt Lake City hotel at about 7.30 a.m., and head off for West Yellowstone, Montana. The initial route out of Salt Lake touches on the Great Salt Lake, at Willard Bay, before crossing over into Idaho. 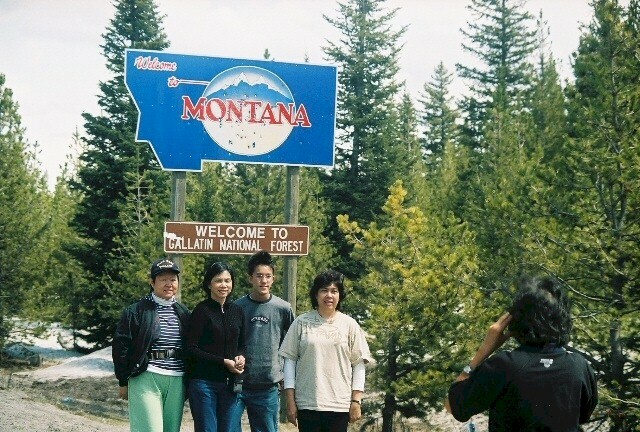 There is some great scenery along the way, especially as you climb up into the skies, through the Targhee National Forest into Montana. There will be opportunities for you to stop, admire the view, stretch your legs and buy a bite to eat. 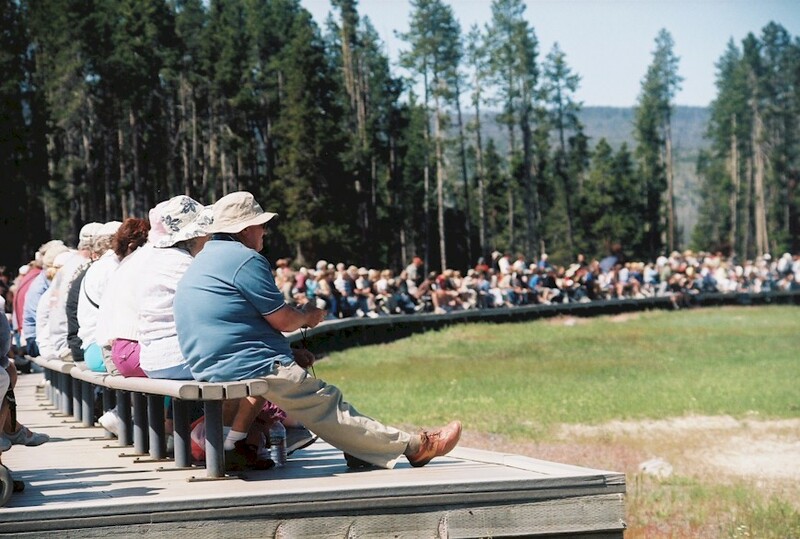 Our first major destination is a horse ranch, located in a beautifully high mountain valley (or hole, as old timers called it) just outside West Yellowstone. 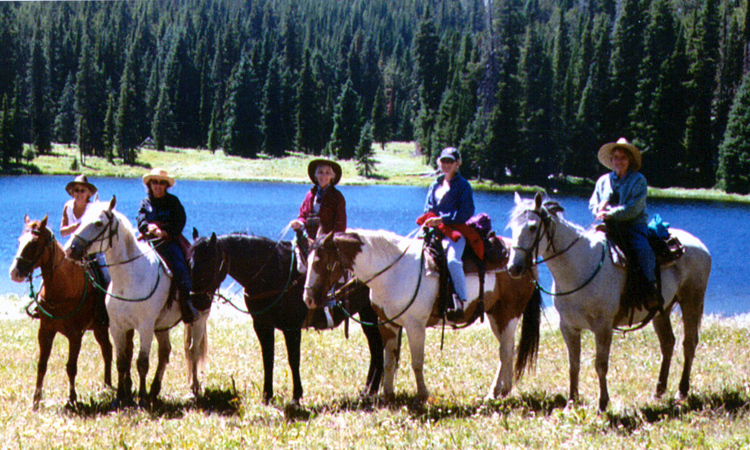 It's time to go horseback riding! (I'm not into horseback riding ... what do I do?) 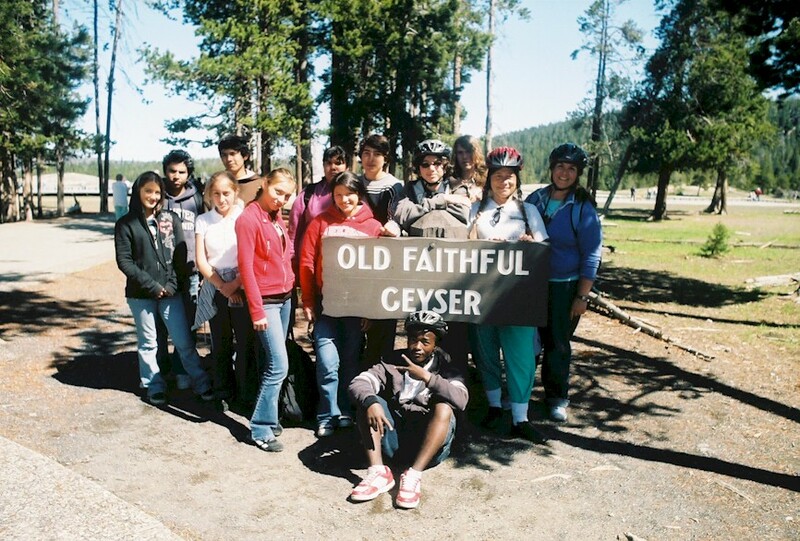 Depending on what the group decides, there are a variety of trail options. 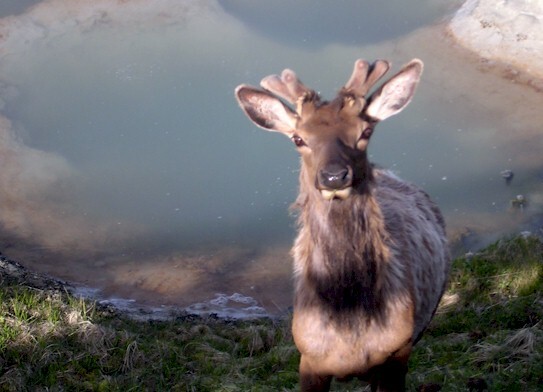 You can take a steep, high trail through the rugged mountain terrain, traversing the streams that flow down from the nearby Continental Divide, or you stay lower down in the wide, expansive meadows. 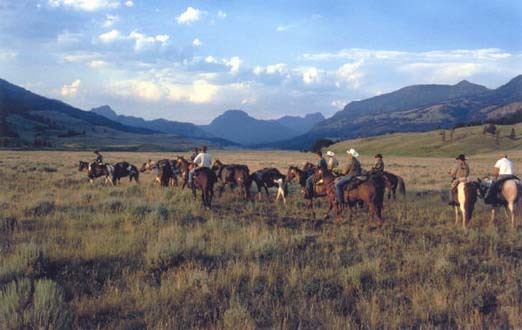 In the summer, cattle are often moved from one area to another, and you may have the opportunity to play cowboy! A sack lunch is provided today. 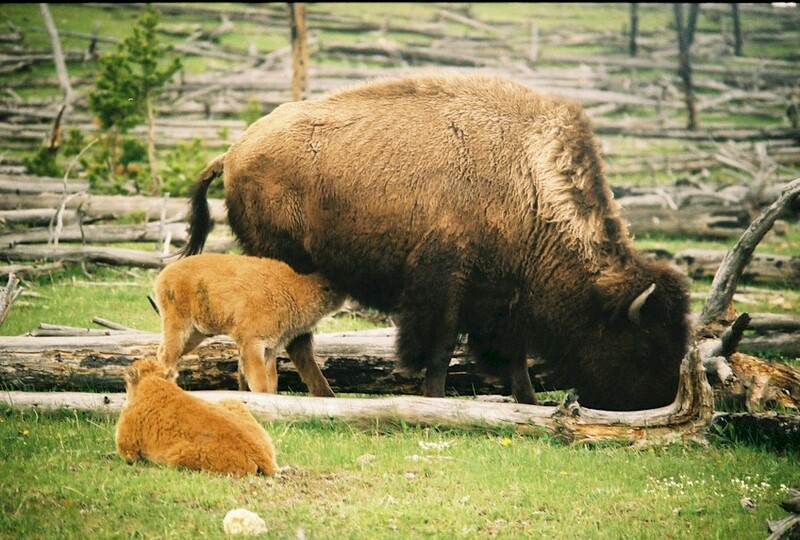 It is a short drive from the ranch to West Yellowstone. 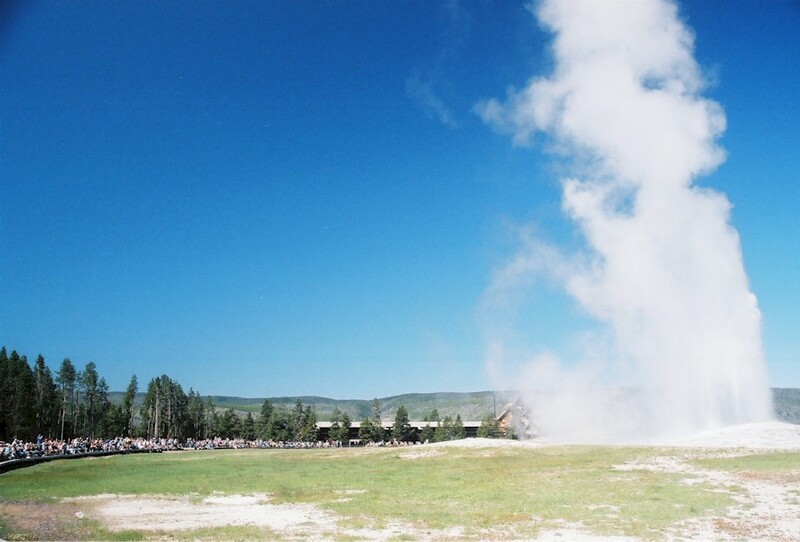 The motel at which you are staying, Al's Westward Ho, is the closest one to Yellowstone! Our little restaurant/Internet Cafe is right next door, and supper at the restaurant is included in the tour price. You will spend the night at Al's. Breakfast is provided at our restaurant to start the day. Please take a look at the sample menu. 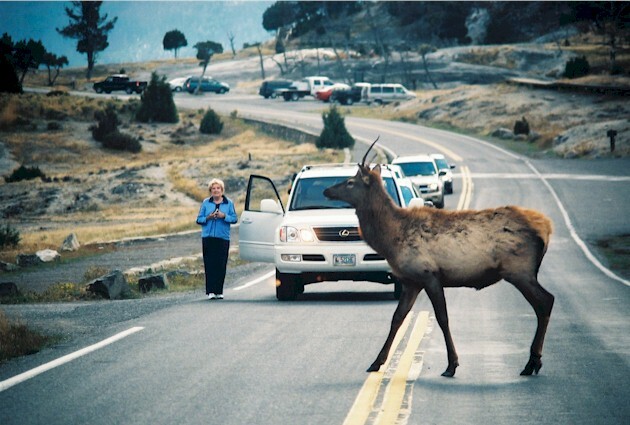 The roads that run through Yellowstone make a massive figure of eight. 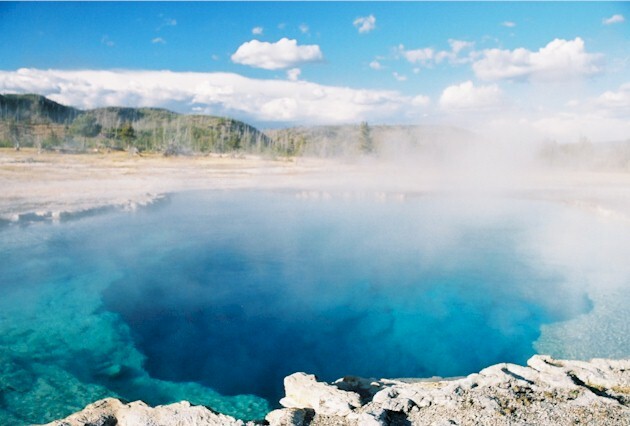 Today we'll be exploring the Upper Loop of Yellowstone. This will be a full and fun day! The route we take will depend on possible road closures in the park, but it will be something like the following. There is going to be a lot to see and do. 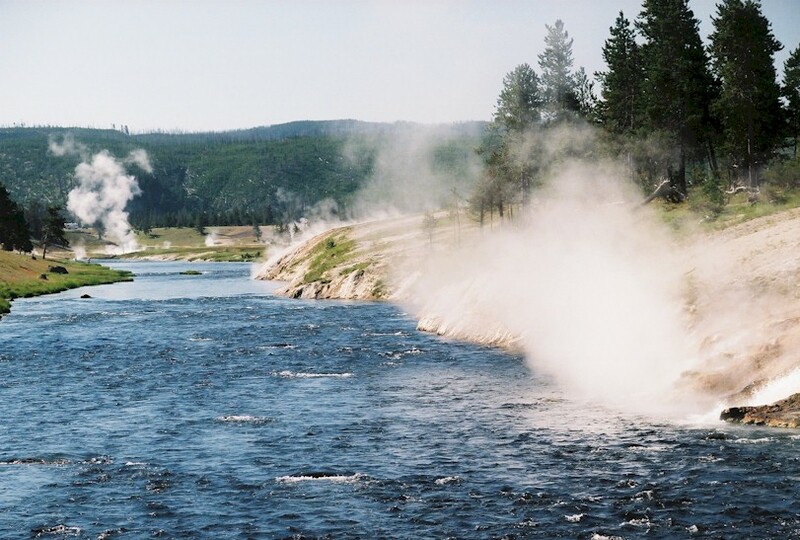 We'll head out of West Yellowstone towards Madison Junction, where the Madison, Gibbon and Firehole Rivers meet. 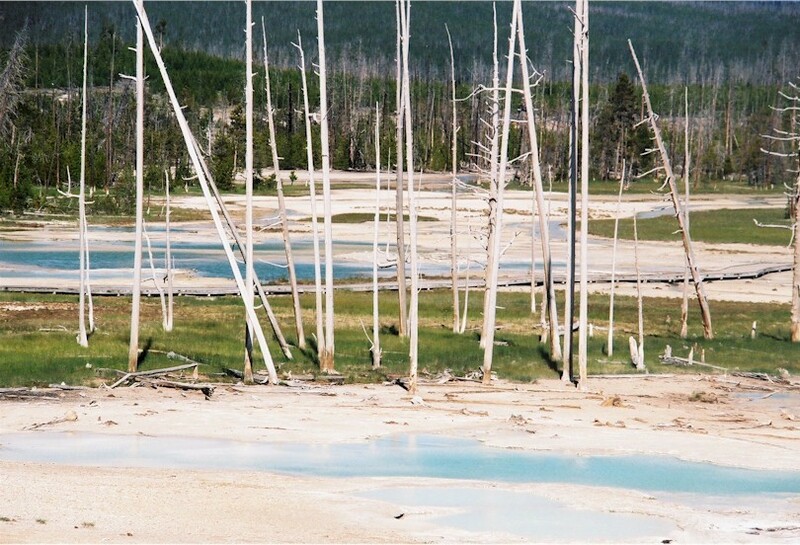 Turning left (north) we'll make for Norris Geyser Basin. Along the way we'll stop briefly at Gibbon Falls. 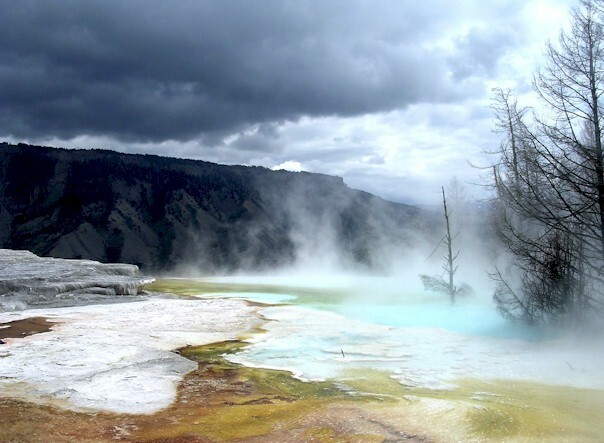 Although not as well known as the other geyser basins, Norris is the most thermally active part of Yellowstone. 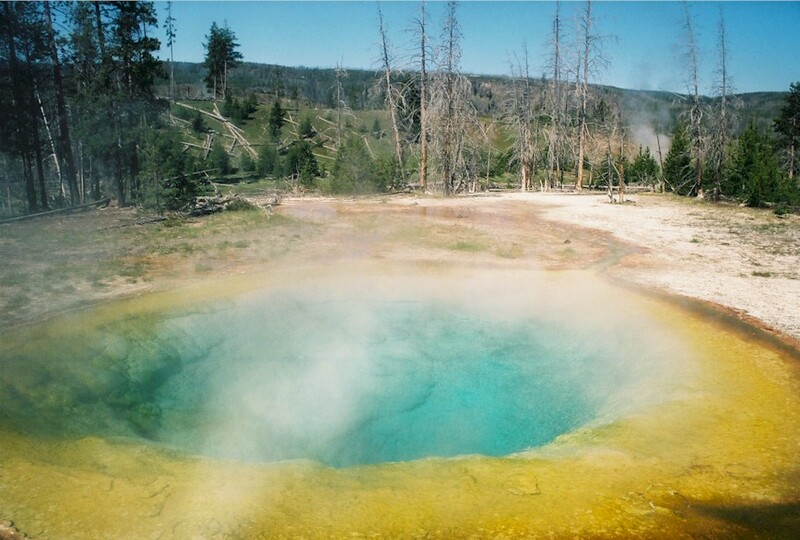 It is divided into two separate areas: Porcelain Basin and Back Basin. 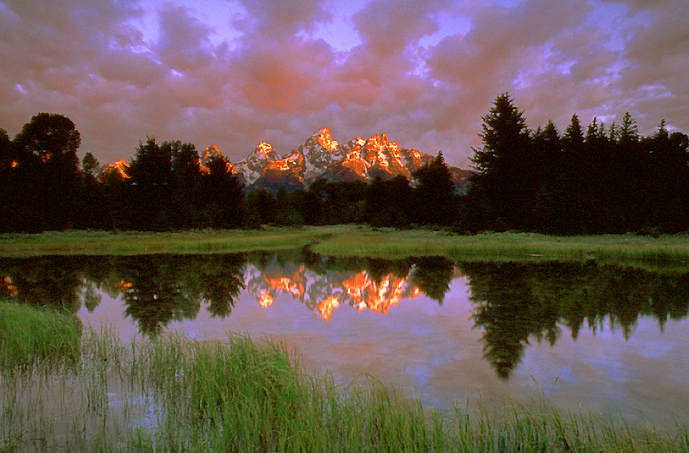 You will have the opportunity to stroll around both, enjoying the pristine beauty. 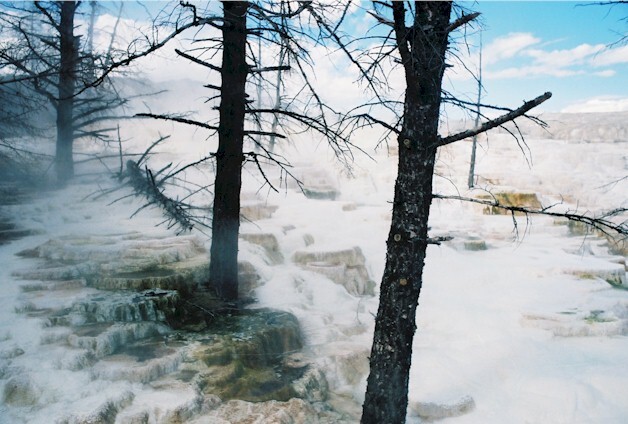 Back Basin is home to Steamboat Geyser, the highest geyser in the world. 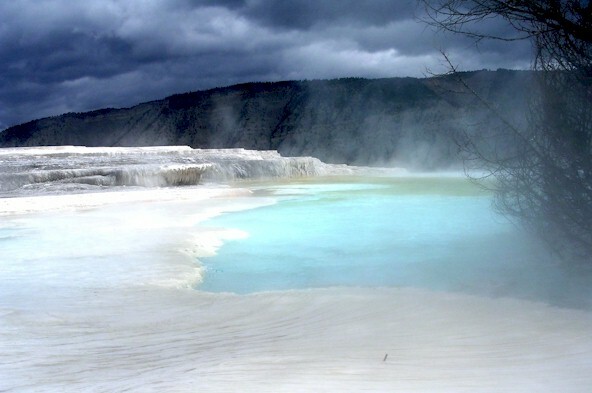 The next stop is Mammoth Hot Springs, headquarters of the park, and home to a fascinating array of weird rock shapes, bright colors and sizzling hot springs. 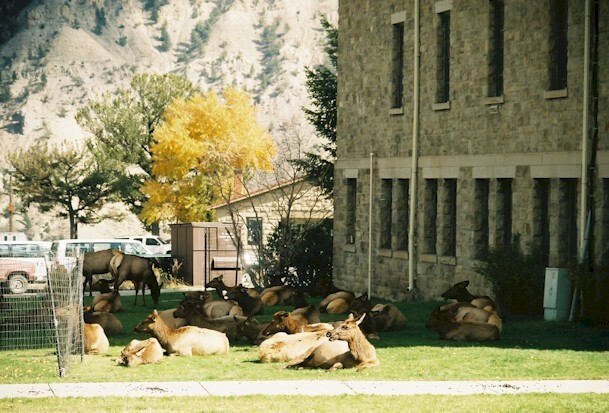 Elk are generally plentiful in this area, wandering around the old park buildings, and, if you're lucky, you might even see a whole herd. 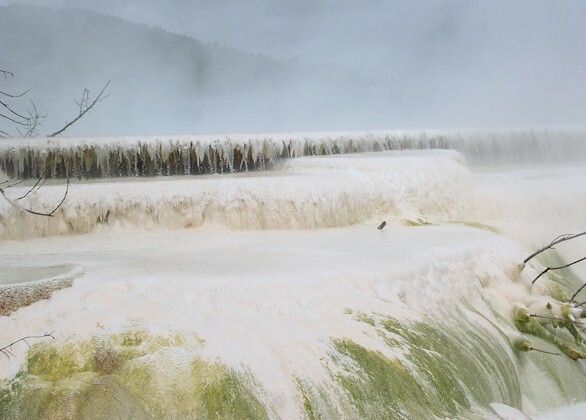 You can stroll down the ever changing terraces at Mammoth, admiring the travertine creations and hot springs. Your guide will be waiting at the bottom with a sack lunch. 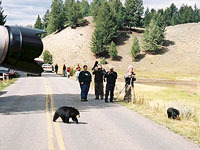 Everyone wants to see a bear in the wild at Yellowstone, and the trip from Mammoth to Tower Falls is one of the best places to do so. 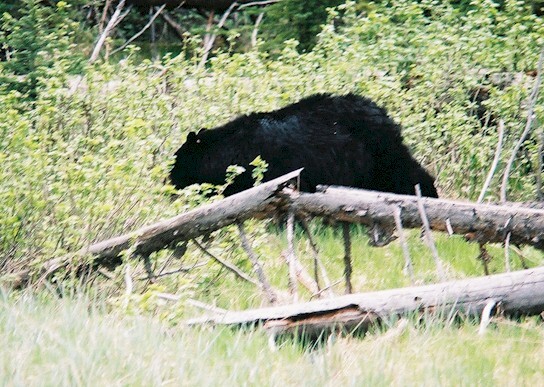 The spring can be a great time to go looking for bears, as you have the opportunity of seeing mothers with their new born cubs. 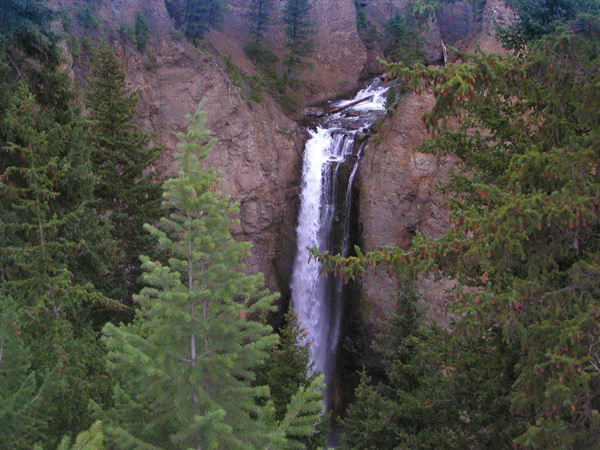 Tower Falls is an impressive water fall. 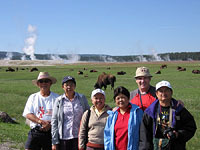 Time permitting, we may also take a trip from Tower towards the northeast entrance of the park, through the Lamar Valley. 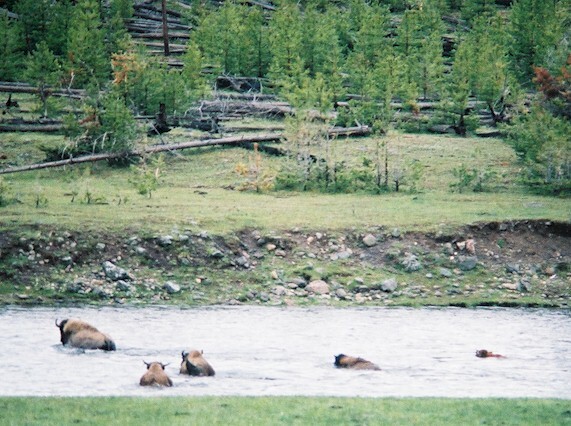 This is one of the locations in which wolves may be found. 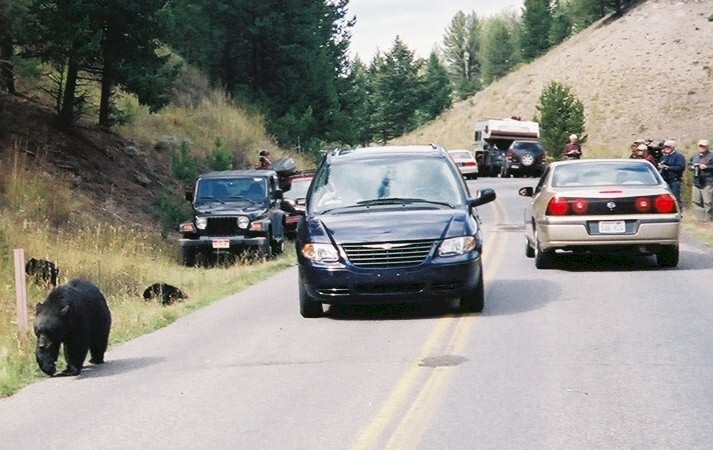 Assuming that it is open, the road from Tower Falls to Grand Canyon of the Yellowstone towers up into the sky as it crosses the Dunraven Pass at almost 9000 feet. 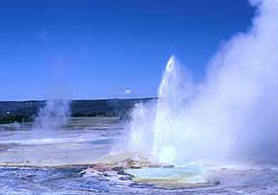 We then drop down to Grand Canyon of the Yellowstone. 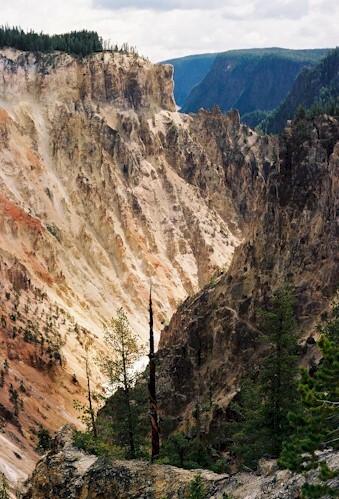 The Yellowstone River has carved an impressive canyon through the rocks, over which two falls drop. The Lower Falls is over twice the size of Niagara Falls! 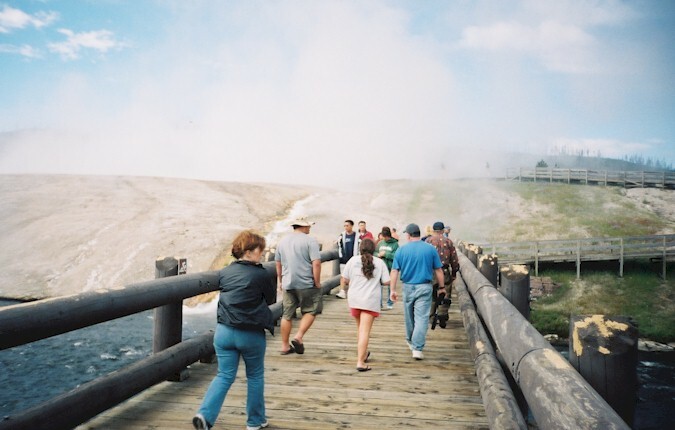 It is in this area that you can catch a glimpse of the yellowish tinge to the rocks, from which the Yellowstone River got its name, but at a different location. 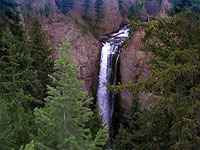 We'll check out the canyon and falls from a number of different locations. 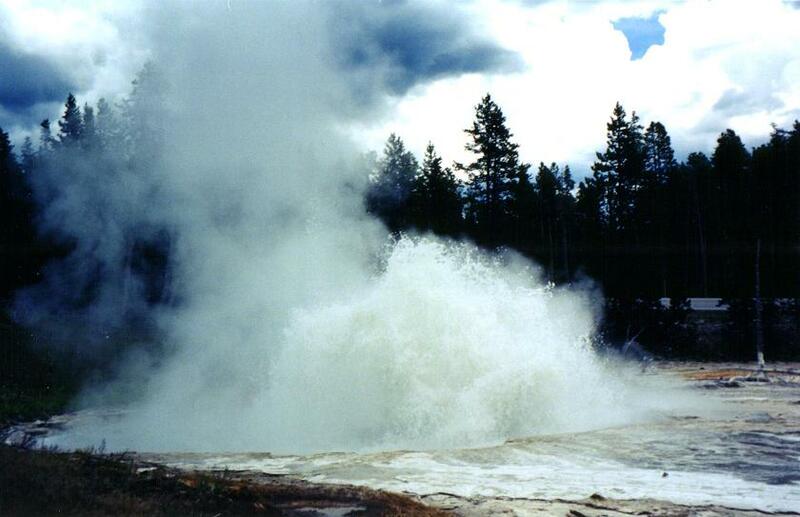 You get so close to the Upper Falls that you almost feel like you can reach out and touch the thundering water. Don't! 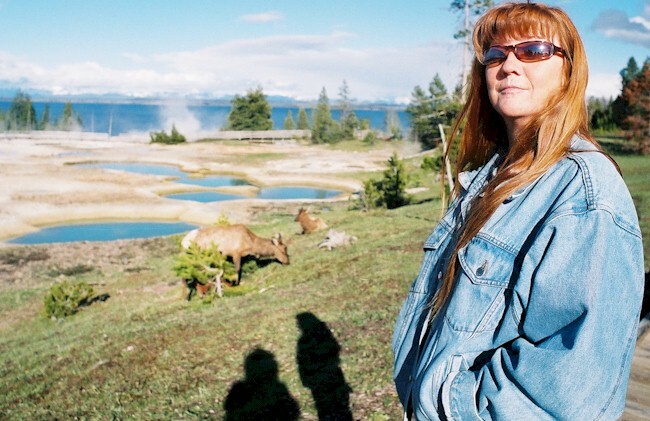 Two West Yellowstone N/A Dinner is once again included in the tour price, after which we will once again spend the night at Al's. Breakfast is served in our restaurant again. 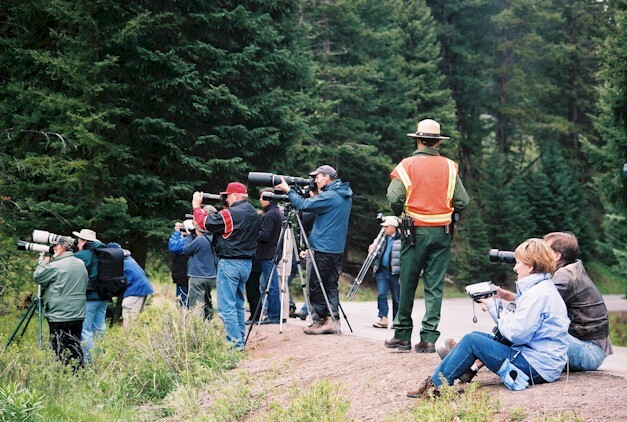 From West Yellowstone we will head east, and follow the Madison River, past a nest with a pair of breeding Bald Eagles, towards Madison Junction. 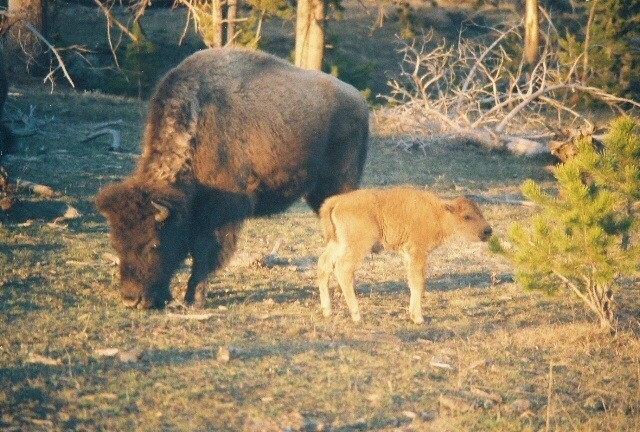 Depending on the time of the year, there is often a lot of wildlife in this area. At the Junction we will turn right, or south. 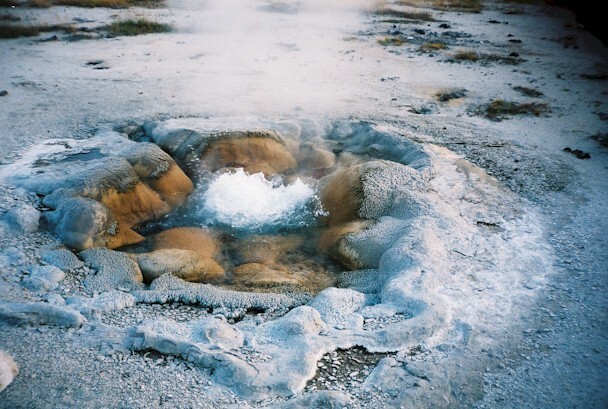 The first major area at which we will stop is the Lower Geyer Basin, home to Fountain Paint Pots. 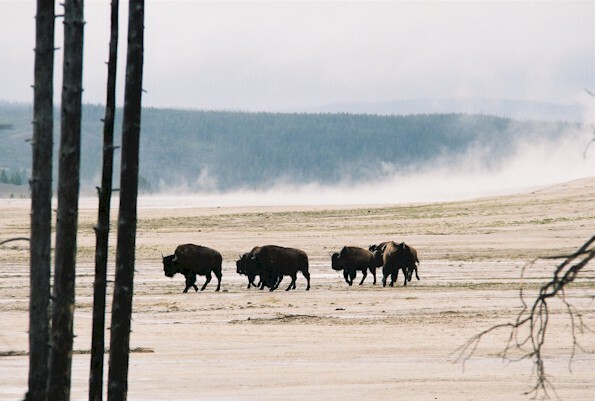 There is a boardwalk system running around and through the basin, and it is a great place to go for a stroll, if the bison haven't got there first! 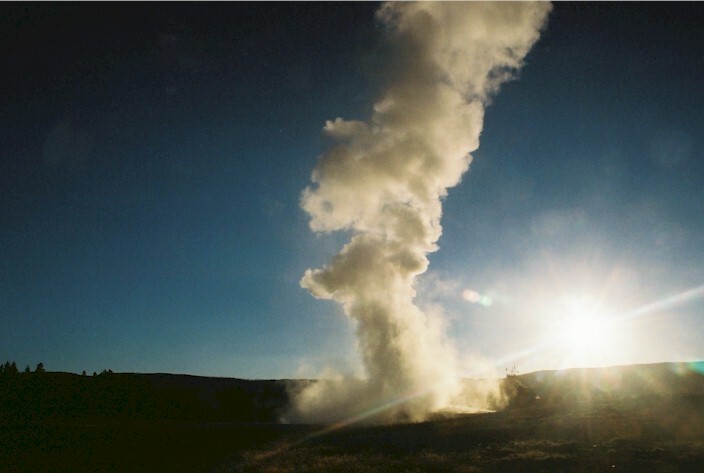 Apart from the paint pots, there is also a selection of other thermal features in the area, including a number of geysers, one or other of which is inevitably erupting. 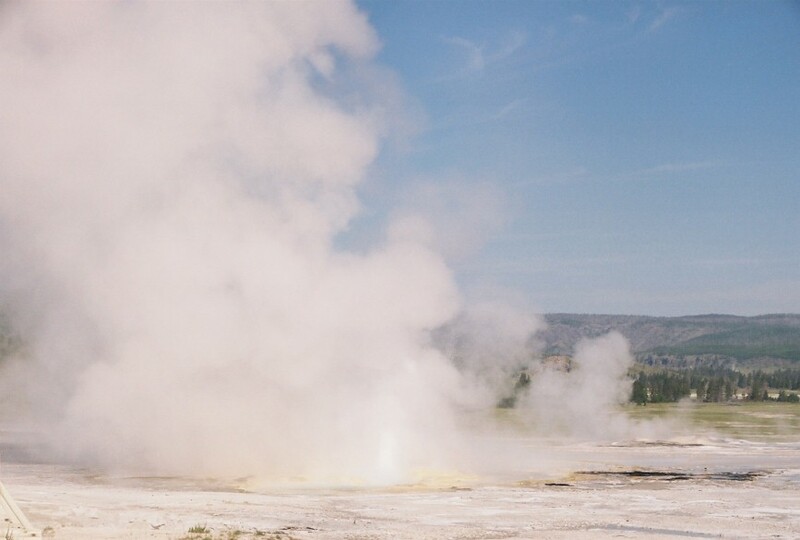 From there we will travel a short distance to the Midway Geyser Basin. 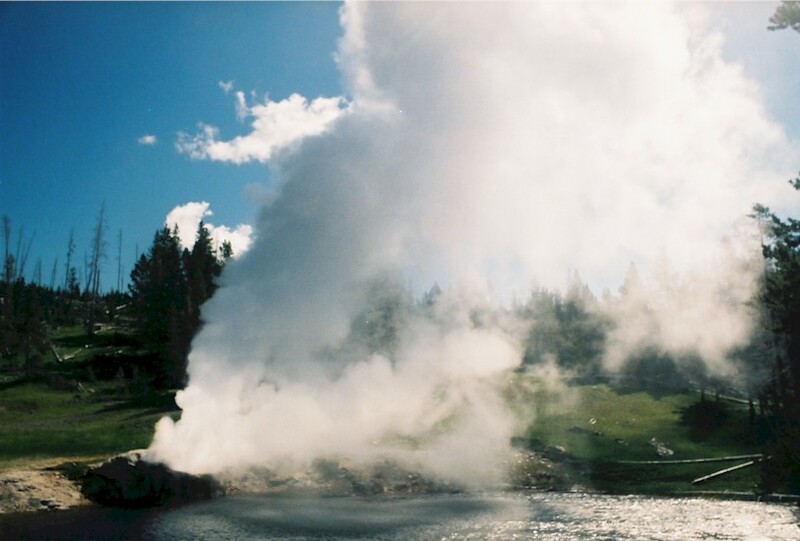 Midway is home to two of the largest hot springs to be found anywhere in the world, as well as Excelsior Geyser, now dormant, but discharging thousands of gallons of water every minute. 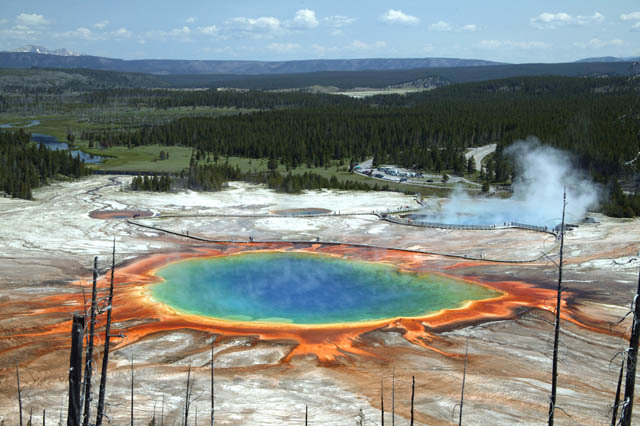 One of the springs, Grand Prismatic, is an amazing sights, with its incredible array of colors. 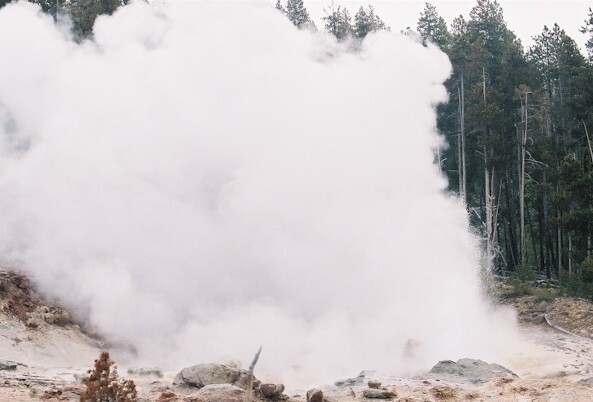 The Upper Geyser Basin, home to the legendary Old Faithful, is just up the road, and we will visit there, and wait for the world's most famous geyser to erupt. 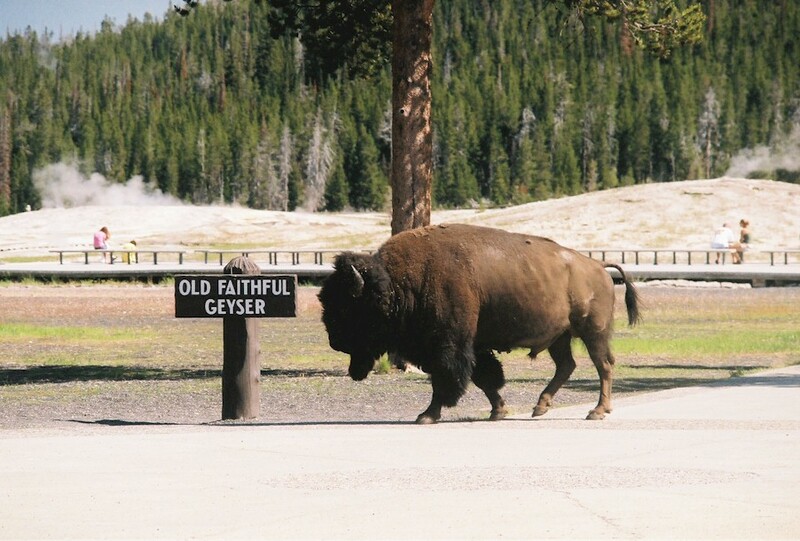 There will also be time to check out Old Faithful Inn, and maybe even some of the other geysers in the area. 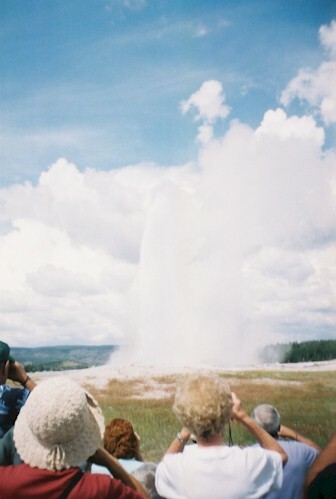 Depending on how long we had to wait for Old Faithful to erupt, there may possibly be an opportunity for a short walk around the Upper Geyser Basin. 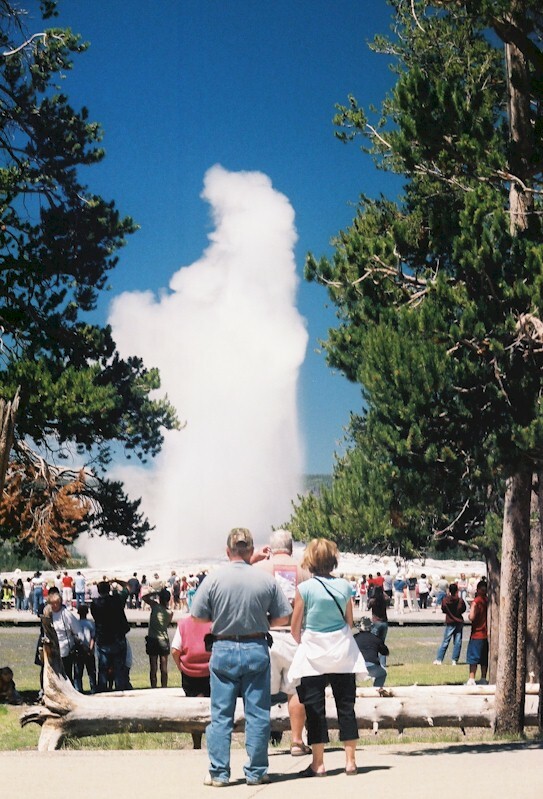 Apart from Old Faithful, there are a host of other geysers and springs there, like Riverside Geyser and Morning Glory Pool. 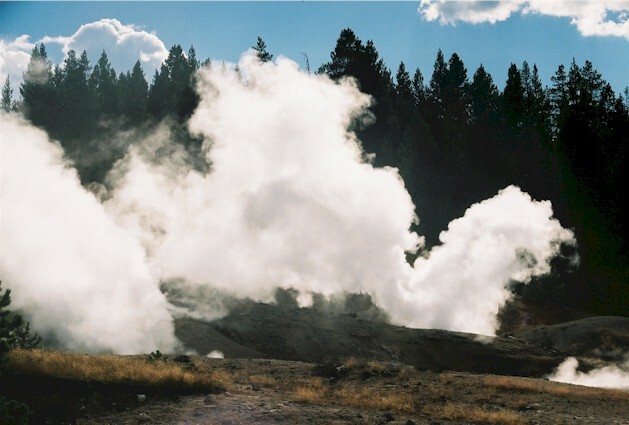 The road from Old Faithful to West Thumb, the next geyser basin, crosses over the Continental Divide twice, as it climbs through the forests. 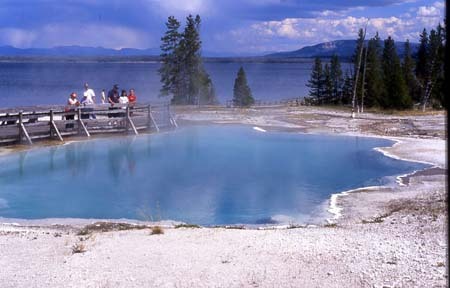 West Thumb is located along the shore of the incredibly blue Yellowstone Lake. This stop is a brief one, to enable you to admire the view over the lake. 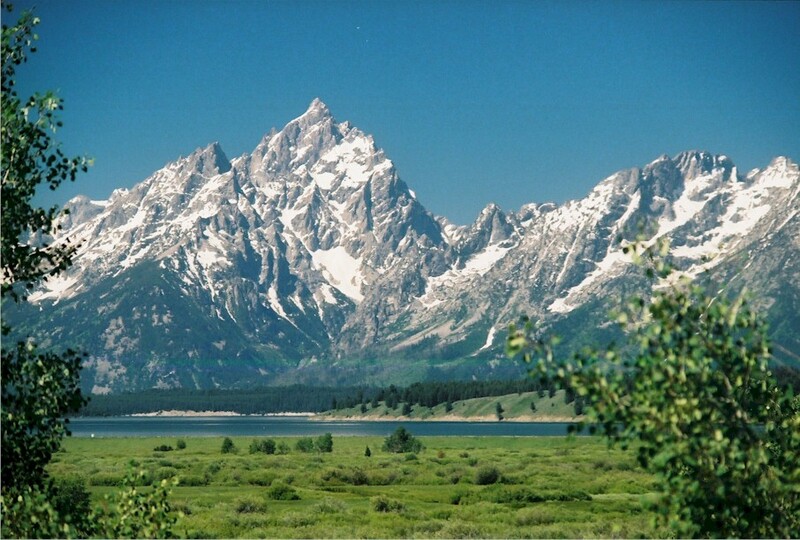 From West Thumb it's time to drop south through the bottom part of Yellowstone, over the Rockefeller Parkway, and directly into Grand Teton National Park. 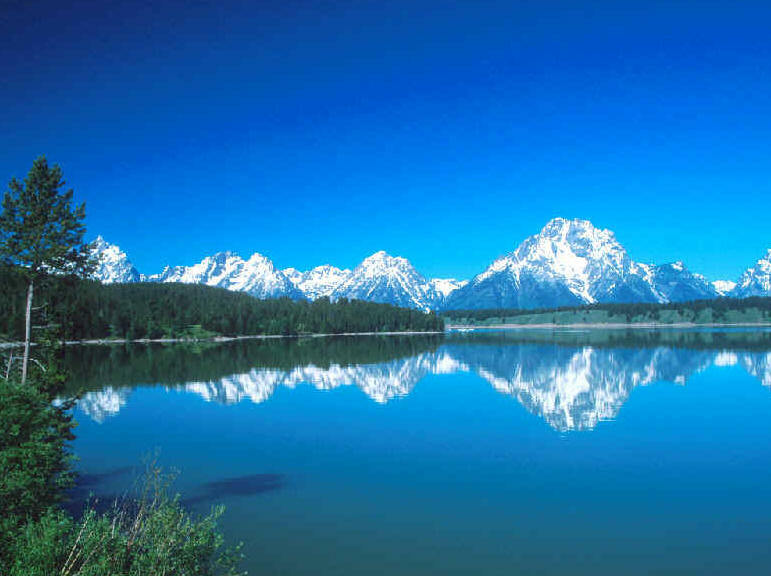 Grand Teton does not have the amazing spectacles that Yellowstone does, but it is a beautiful area, and we'll take a leisurely drive through the park, stopping several times to take photographs and admire the views. 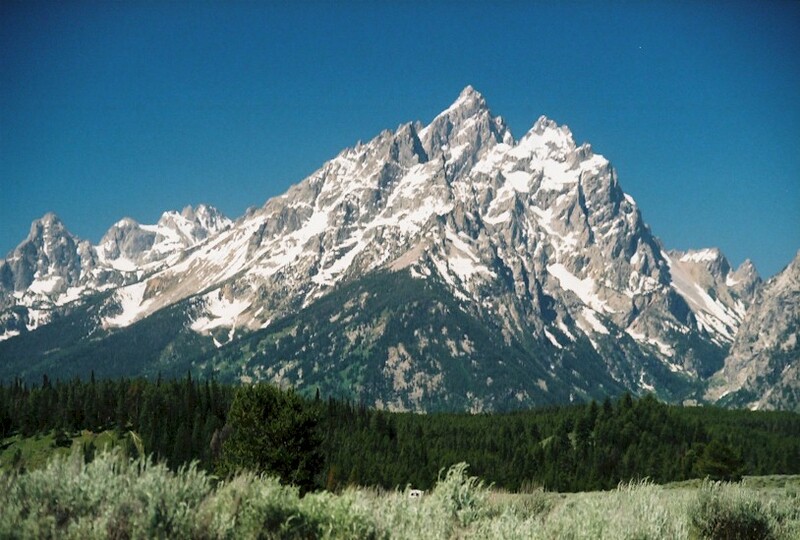 The western, touristy town of Jackson is right outside Grand Teton National Park, and we will stop briefly there for you to take a quick look at the town, and eat the sack lunch that we provide today. The Snake River has some great rafting waters, and you'll be tackling an eight mile stretch, with the put in just outside Jackson. 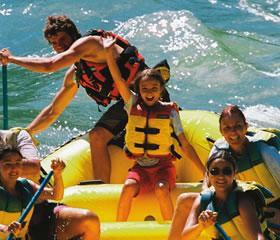 (I don't want to go river rafting ... what do I do?) 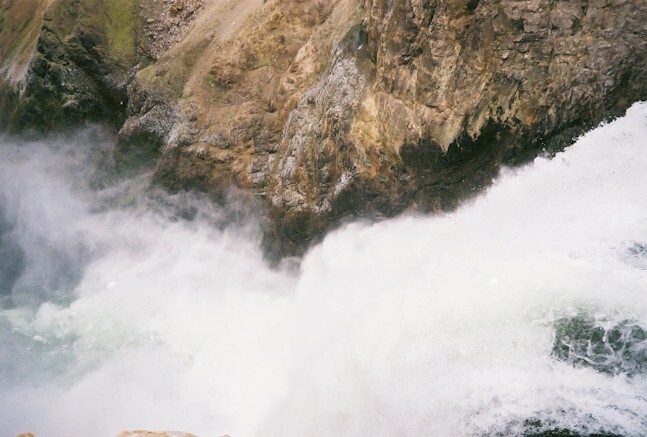 This section of the river offers some exciting white water, under the watchful eye of an experienced guide. 5 1/4 hours After the fun of the river, it is time to return to Salt Lake City and end the tour. Thanks for joining us! This tour may be subject to a fuel surcharge. 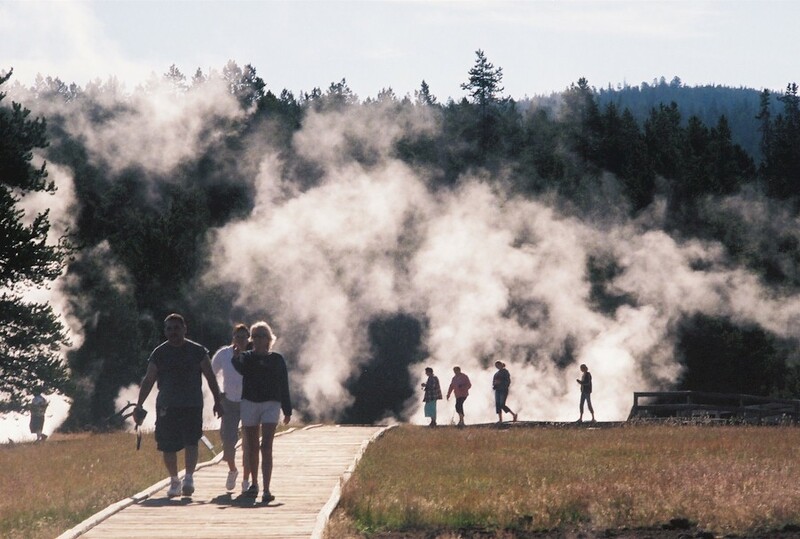 Entry fees to both Yellowstone and Grand Teton National Parks are included. 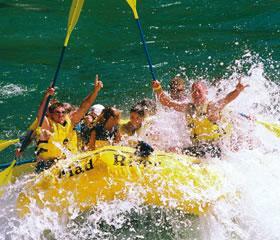 River rafting is included. 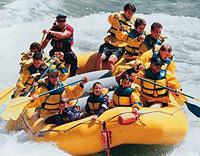 If you omit the rafting, you will get a refund for that activity. 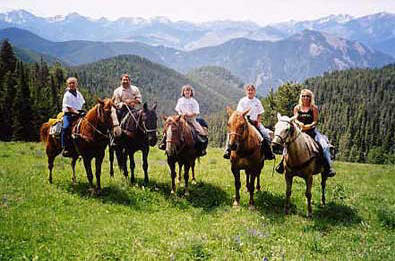 Horseback riding is included. If you omit the rafting, you will get a refund for that activity. 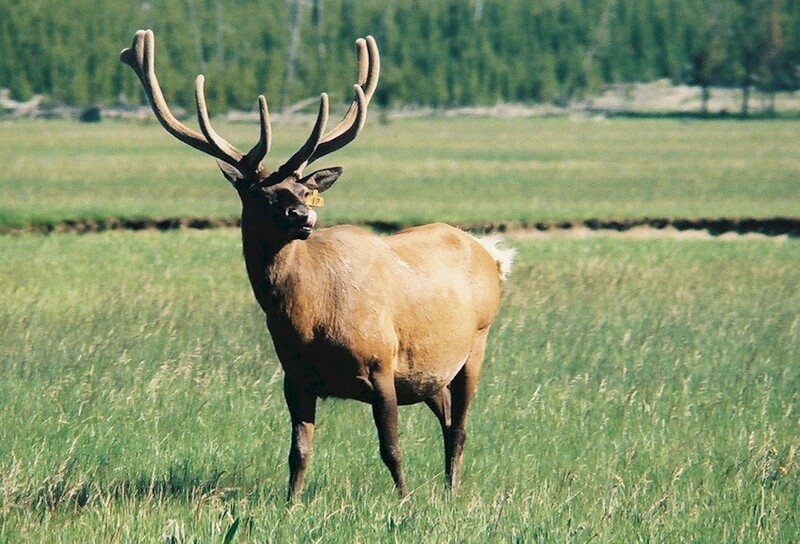 Bundu Bashers offers this tour every Monday and Friday morning from spring through fall. Two nights' accommodation is included. The lodging is in the moderate category - clean and comfortable, but not fancy. 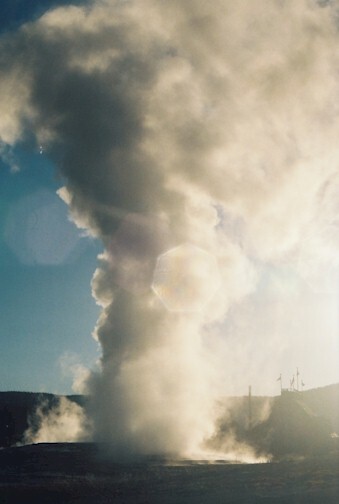 Luxury accommodations are available at a surcharge, and economy accommodations are available at a discount. Prices vary depending on the month. Examples of the different motels we use can be seen here. Prices are based on double occupancy. A single surcharge of $80 is applicable, or we can try and match singles. Depending on the number of guests, the type of vehicle to be used may be a mini bus, a large SUV, a coach or an executive van. The following meals are included: A sack lunch every day, two dinners, two breakfasts. Please check out the sample menus. 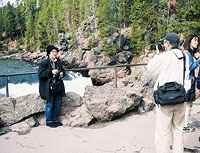 A minimum of two people may be required for a tour to depart. It may be necessary to book several weeks ahead of time to ensure that there is space. 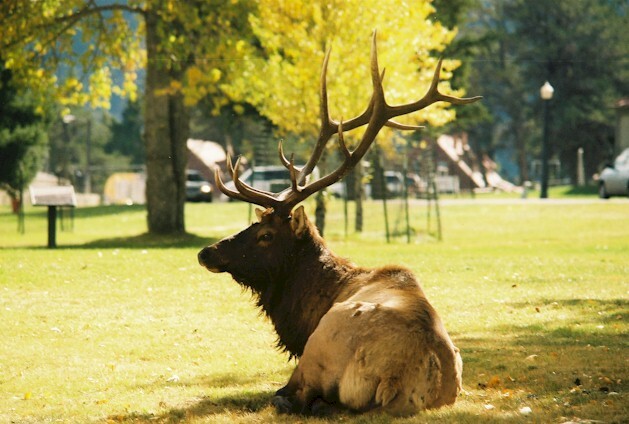 The cost of this tour is $688 per person, double occupancy, including meals, river rafting, and horseback riding. If there are six to eight people in your group, you will get a 10% discount. More than eight people will be entitled to a special group rate. There is a single surcharge of $80.00. 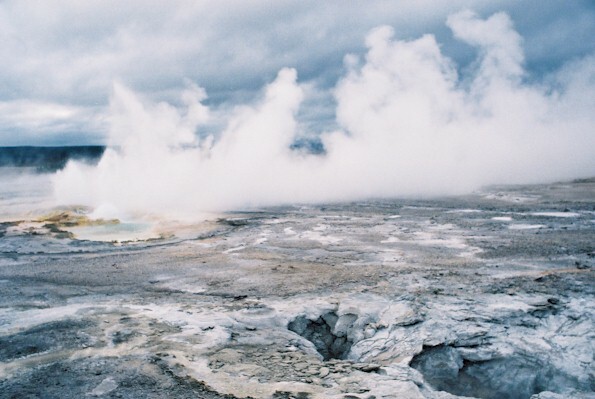 You can book this tour online here. This tour may be subject to a fuel surcharge. Details on paying for this tour, and our cancellation policy, can be found here. Please call us at 1 800 724 7767 or (USA) 435 658 2227, or mail us, for additional information. Tour dates can be seen here.